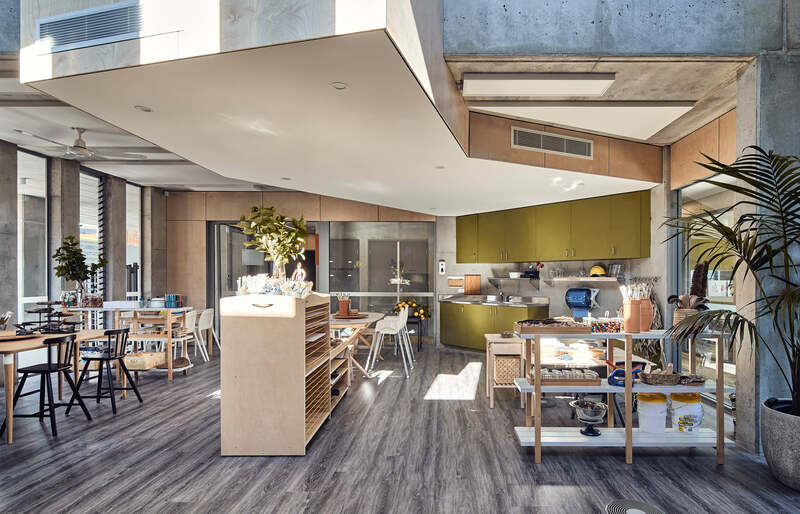 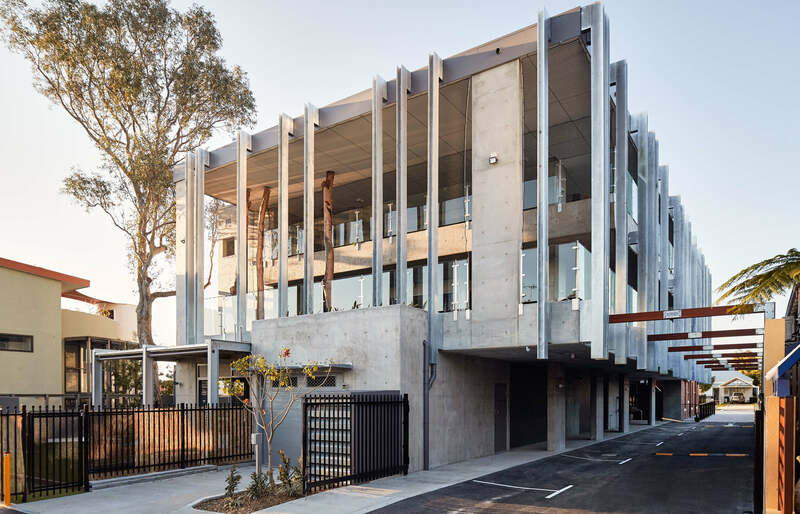 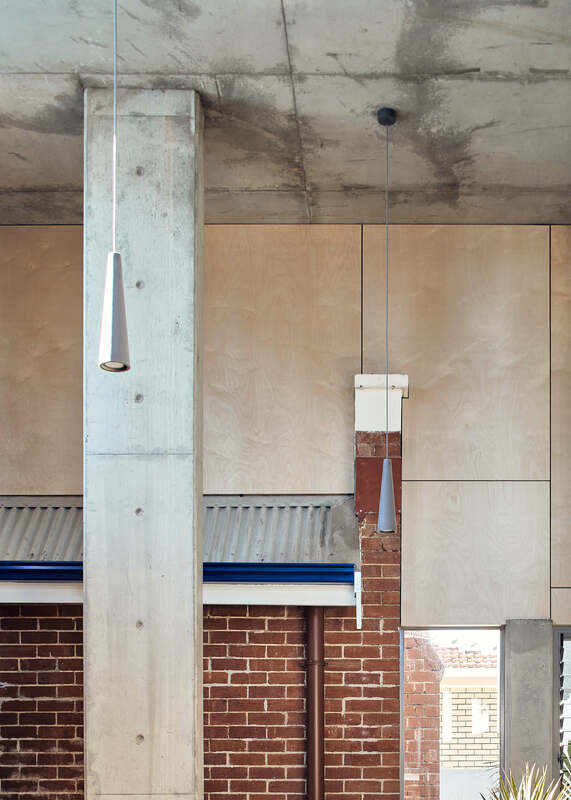 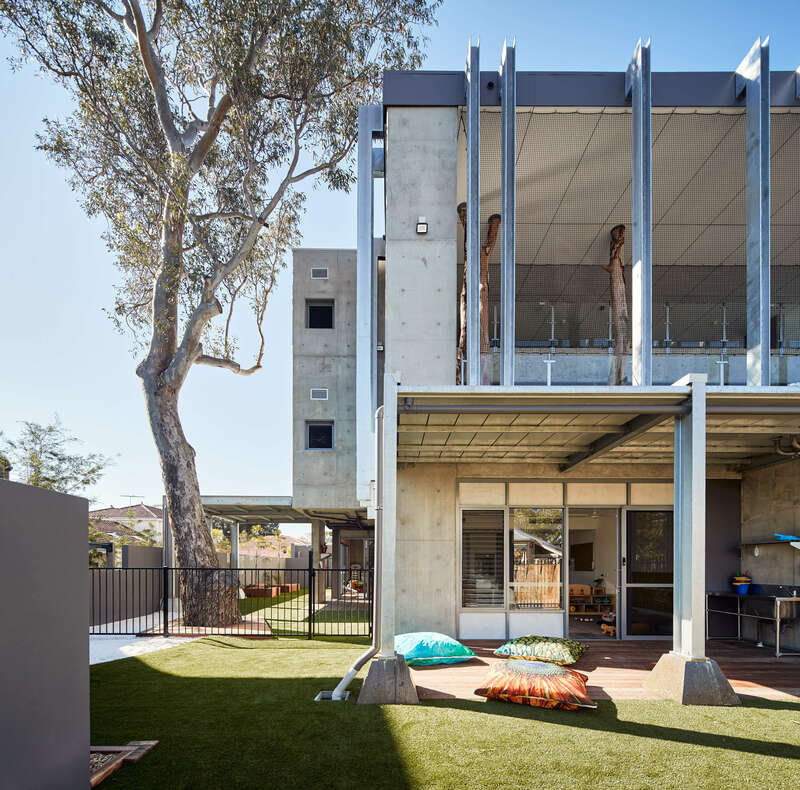 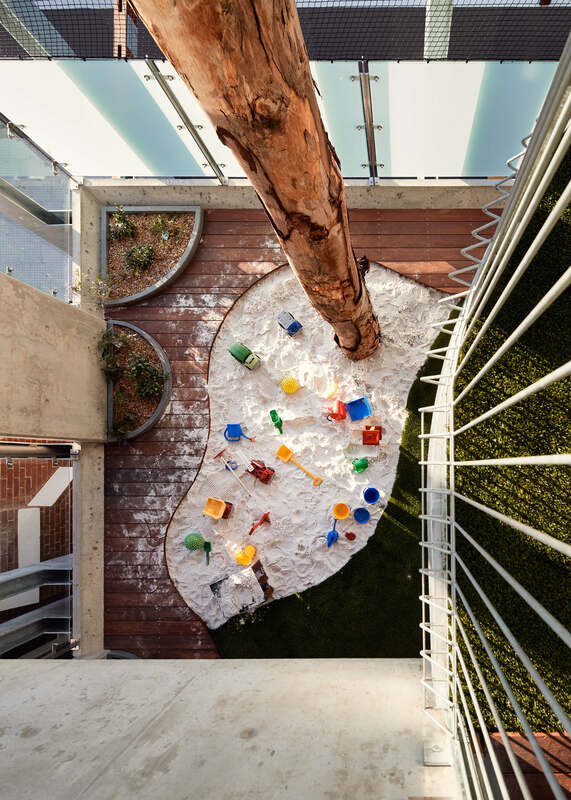 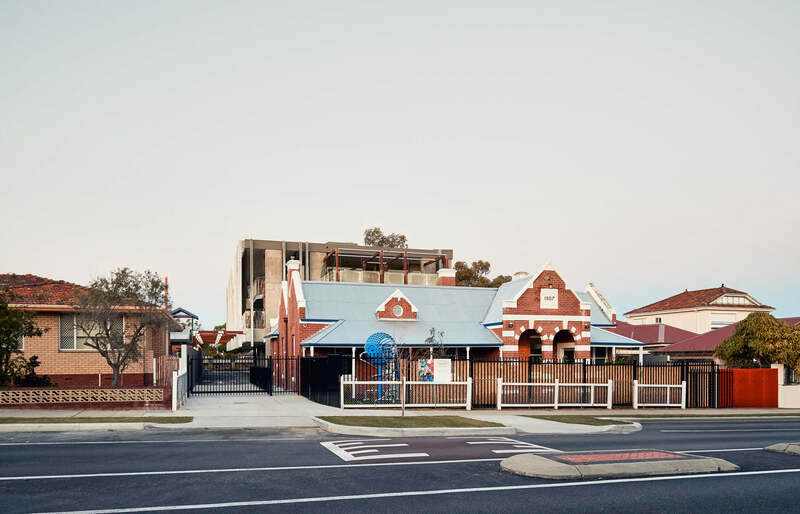 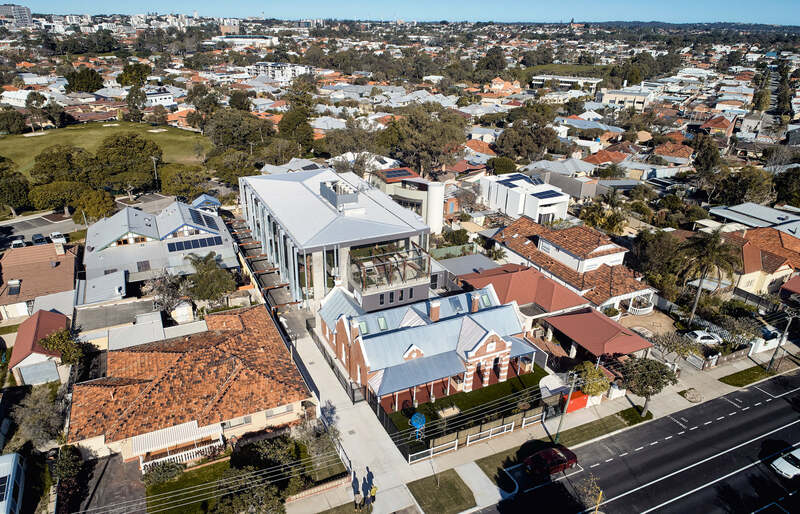 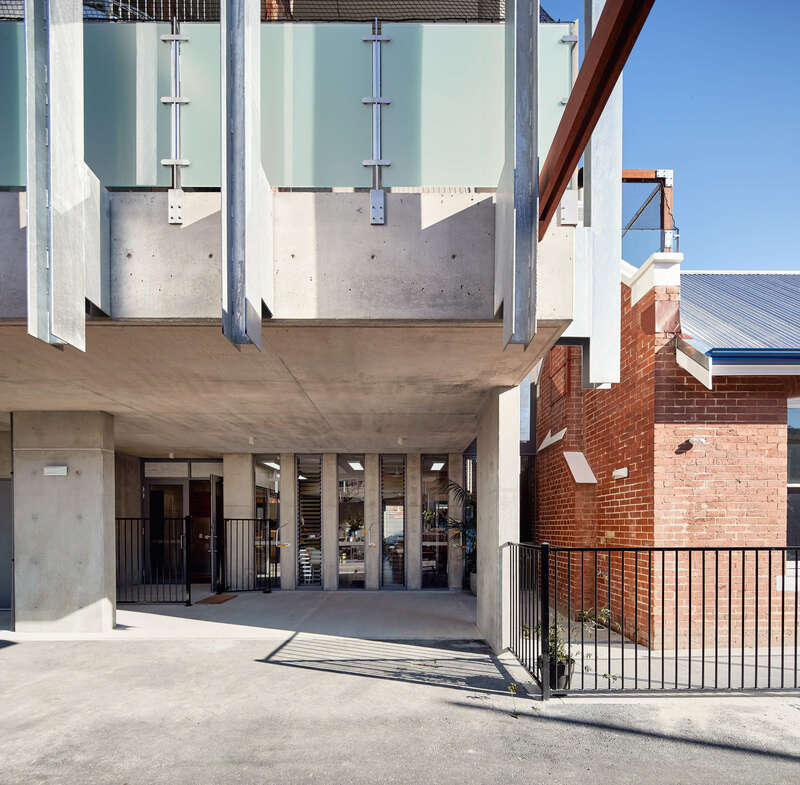 Tom Godden Architects JV with Matthew Crawford Architects refurbishment of the 1907 Heritage Listed Police Station and 3 story addition with basement car parking to deliver a 114 child Early Learning Centre sets the benchmark for Childcare in WA. 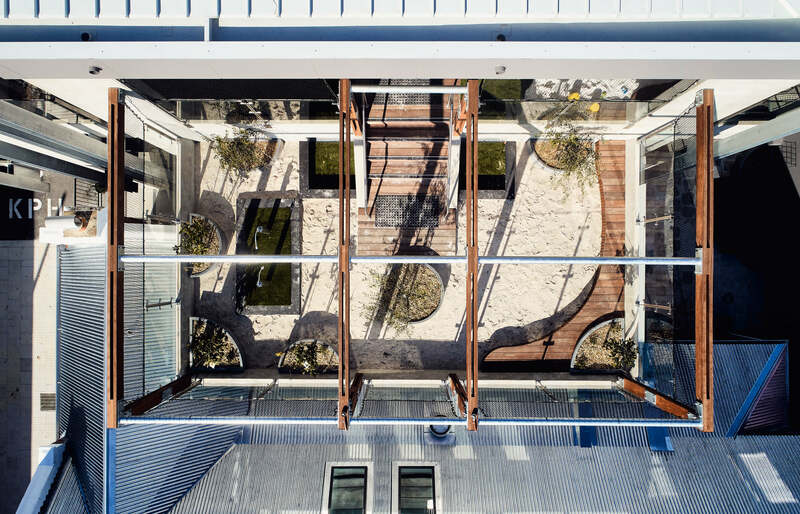 Programming of internal and external spaces generated a series of skygardens interconnected with a treetop skybridge. 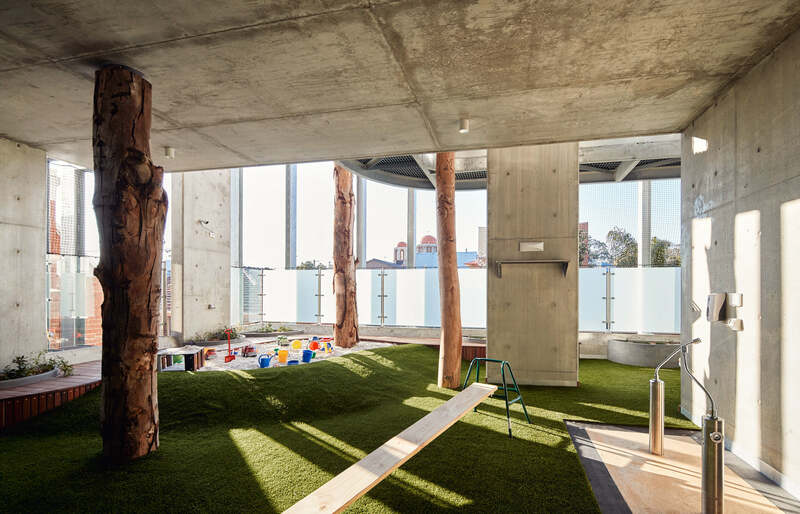 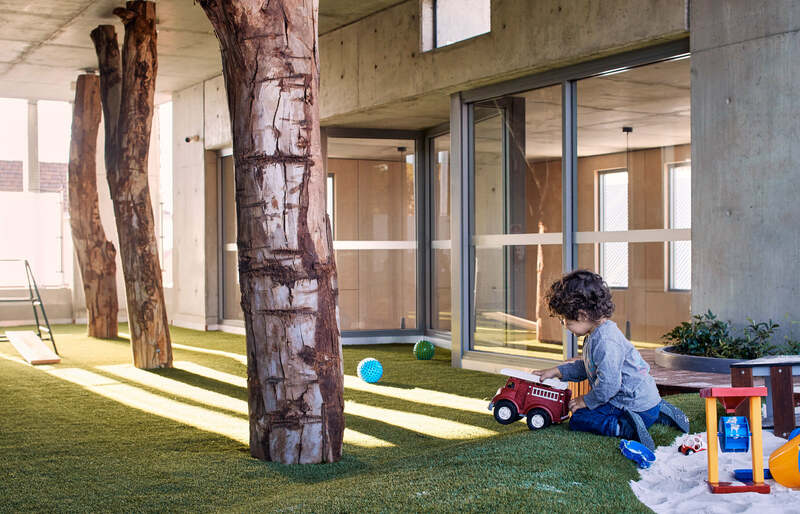 Vertical inter-connectivity between levels allows children of all age groups to interact and develop learning outcomes in a social, relaxed atmosphere. 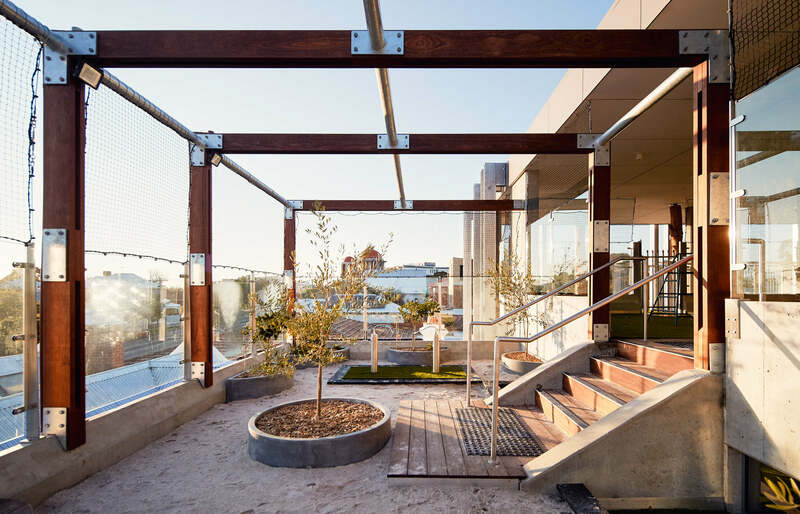 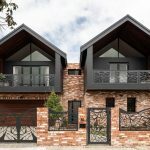 Raw materiality including Class 2 off-form concrete, galvanised steel, glass and plywood ensure a natural environment in an urban setting.